Bahamas, Canadian Afie Jurvanen’s folk-rock outfit, is untouchable in its third album, the beautiful Bahamas Is Afie. Jurvanen plays most of the parts himself. Afie is also confident in his voice on the new album, throwing his sickly-sweet lyrics to the forefront of fun and languid songs. 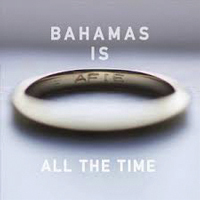 The increased instrumental layers — the timpani drumming of “Waves”, violin leads of “Can’t Take You With Me”, and electro-bass drone in “All The Time” — show the breadth of Bahamas’ sonic growth. 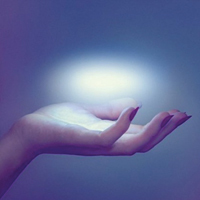 Some find Afie tampering with tempo and experimenting with light R&B. Many bands stumble while attempting these, but Afie succeeds flawlessly. Its beauty seems preordained, simple and independent. A sharp snare begins “Rent I Pay”, the first single from They Want My Soul, packaged in the staccato neo-funk that has carried Spoon for several decades. The snare is the vanguard of a solid album from indie rock’s not-so-silent protagonists. Daring tracks like “New York Kiss” venture into shoegaze with calming harps, xylophone and synth. Upbeat tunes like “Rainy Taxi” and “Outlier” also use those instruments for a rounder sound. This tweaked style is similar to the disco pop of bandleader Britt Daniel’s side project, Divine Fits. They Want My Soul bursts with energy and will burrow into your ears for an extended stay. 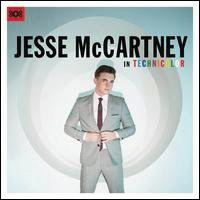 Just when you probably thought Jesse McCartney dropped off the face of the earth, he’s back with his first album in years, In Technicolor. Don’t bother trying to reminisce over Beautiful Soul (2004) while listening. In Technicolor sounds more like a sugar-coated Justin Timberlake album — nice and sweet, albeit a tad confusing. McCartney told Billboard that the album would “sound like an authentic 70s disco-pop record.” Some of it does. Tracks like “Back Together” and “Tie the Knot” do have that sought-for groove and some surprisingly-decent falsetto, which show McCartney’s versatility. But this push further from the Radio Disney family could cost him the preteen market and some of the twenty-somethings who liked his music from ten years ago.